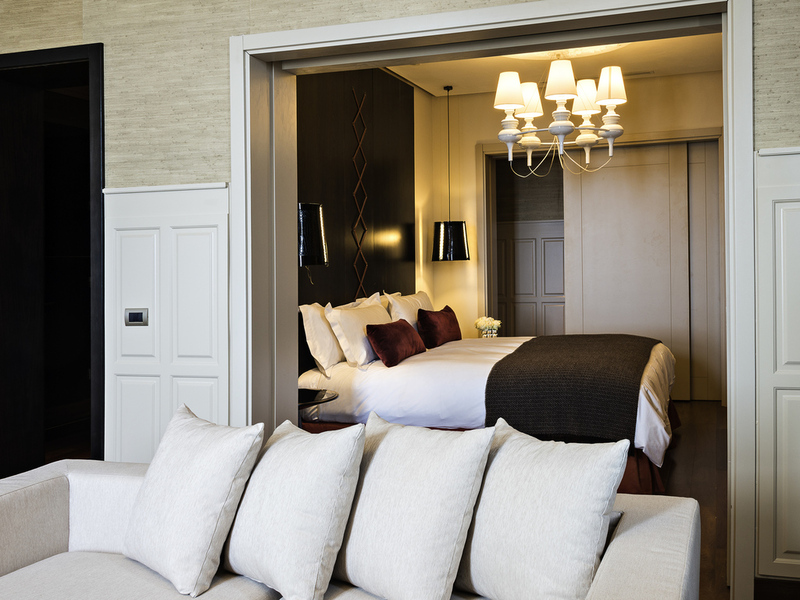 Sofitel revived the soul of a sleeping giant and converted it into the most luxurious hotel in Montevideo. An exceptional setting for your leisure and entertainment throughout the region. 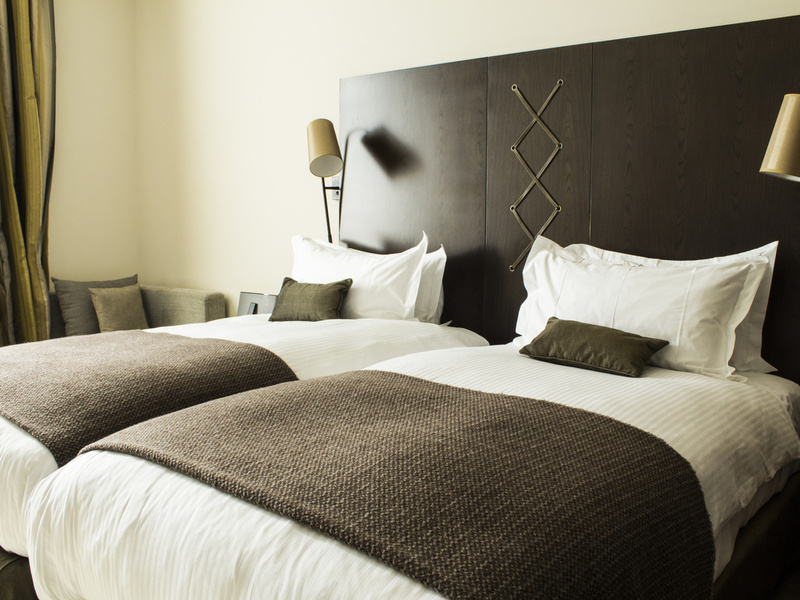 The hotel has 93 rooms and 23 suites that are furnished to offer guests a high level of comfort and privacy. It is also home to the leading So Spa, a large casino, restaurant, bar, library and café. 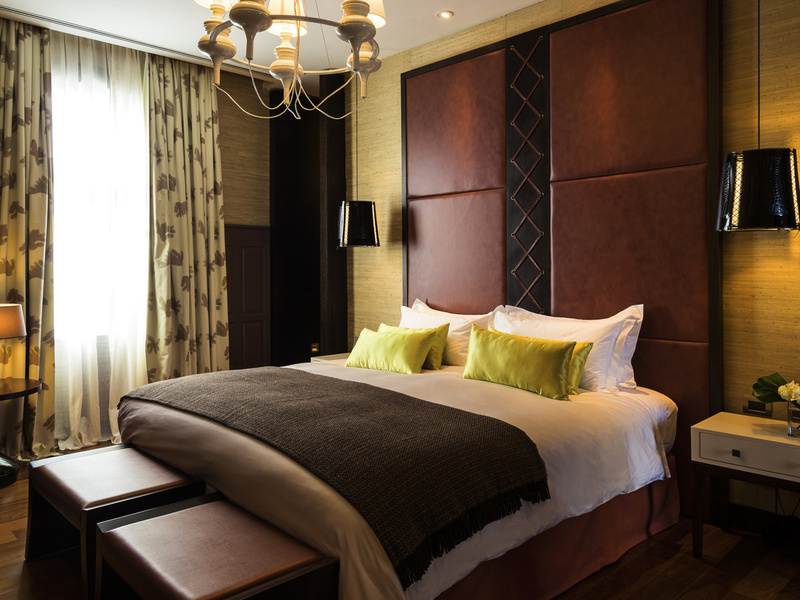 Sofitel is the ideal choice for guests on business trips or vacation in Montevideo. French elegance and the nostalgia of Montevideo at the turn of the 20th century make this 5-star luxury hotel an unforgettable destination. The ideal location for enjoying Carrasco and one of Uruguay's most culturally treasured buildings. 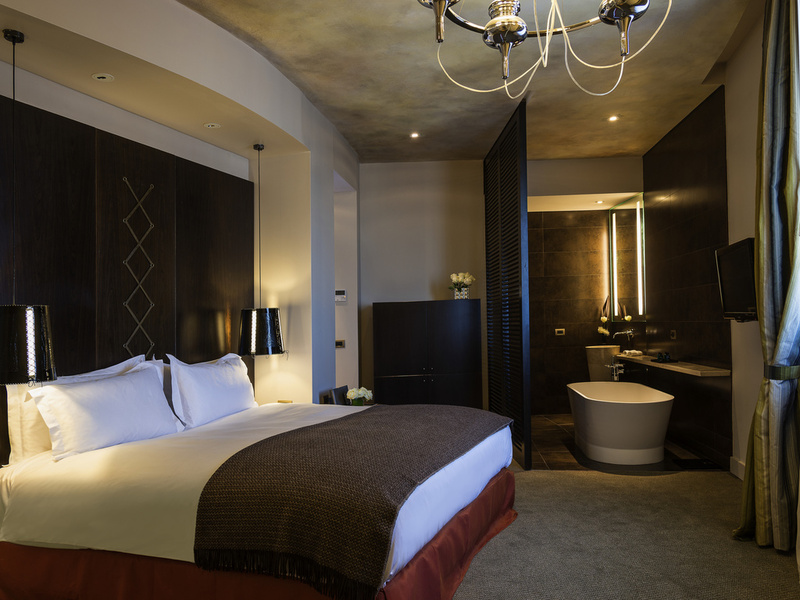 Life is Magnifique in Montevideo..
Each Sofitel uniquely fuses French art-de-vivre and local sophistication. In Montevideo, Sofitel has revived the soul of a sleeping giant and turned it into the most luxurious hotel in the city, where you can immerse yourself in the charm of a bygone age. 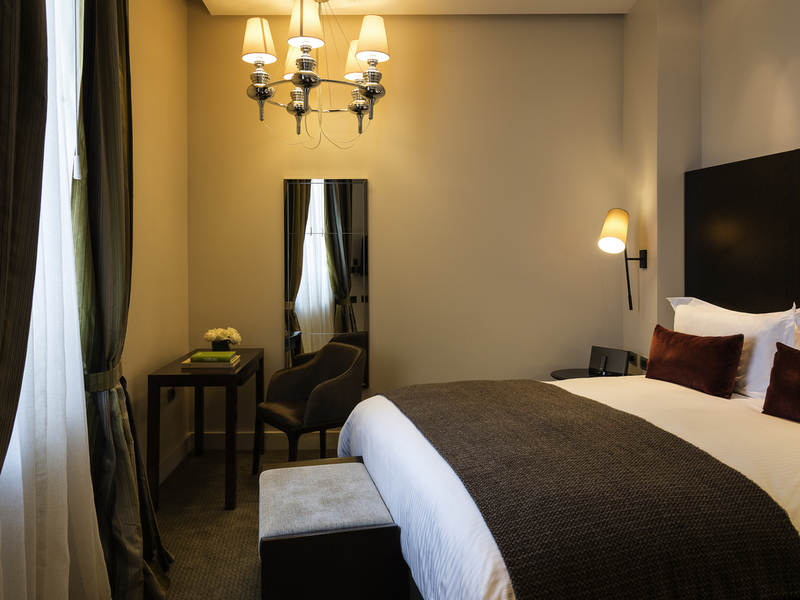 The Sofitel Montevideo breathes French style in every last detail. Meticulous restoration work revived the majesty of this one-hundred year old building, an architectural symbol of Montevideo, transporting you to France as soon as you see it. The French architecture of this building is complemented by décor inspired by tango, the feel of leather and a color palette where the red of the ceibo tree, the gold in the walls and the watery tones of Río de la Plata are present throughout the hotel. Discover a privileged setting of pleasure and entertainment that is unique in the region. 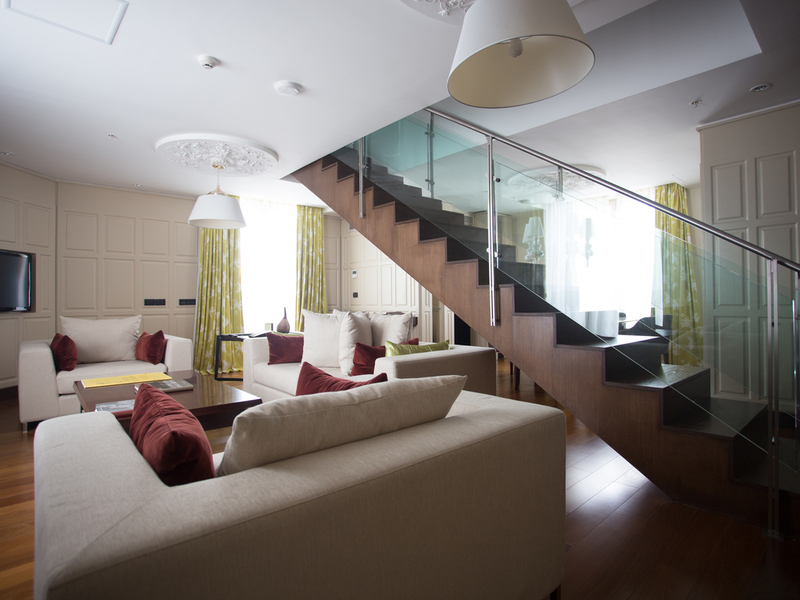 In the same building, guests can access the emblematic Casino Carrasco, making your stay in Montevideo complete. From Montevideo International Airport take Rambla Republica de Mexico and drive 5 minutes towards Carasco Neighborhood. Sofitel Montevideo Casino Carrasco is close to finance district and the main turism attractions as Teatro Solís, la Iglesia Matríz, th e Mercado del Puerto among others. Designated spaces for privileged guests, with the best views over Río de la Plata and its panoramic Carrasco beach or over Stella Maris Church, with the trees and carefully manicured houses in the surrounding area transporting guests back to another era. Room measuring 344 sq. ft. (32 m2) with MyBed, 32'' LCD TV, high-speed Internet and WIFI, telephone, air conditioning, shower, hair dryer, minibar, safe and access to SoSPA and SoFit. 409 sq. ft. (38 m2) with MyBed, 32'' LCD TV, high-speed Internet and WIFI, two telephones, air conditioning, hair dryer, minibar, safe and access to SoSPA and SoFit. Suite measuring 592 sq. ft. (55 m2) with living area, 32'' LCD TV, high-speed Internet and WIFI, telephone, bathtub and shower, Hermès products, hair dryer, minibar, safe and access to the So Spa and So Fit. Suite measuring 915 sq. ft. (85 m2) with foyer, spacious living area, dressing room and bedroom. 32'' LCD TV, high-speed Internet and WIFI, telephone, bathtub and shower, Hermès products, hair dryer, minibar, safe and access to SoSPA and SoFit. Suite measuring 1938 sq. ft. (180 m2) and terrace measuring 2045 sq. ft. (190 m2). 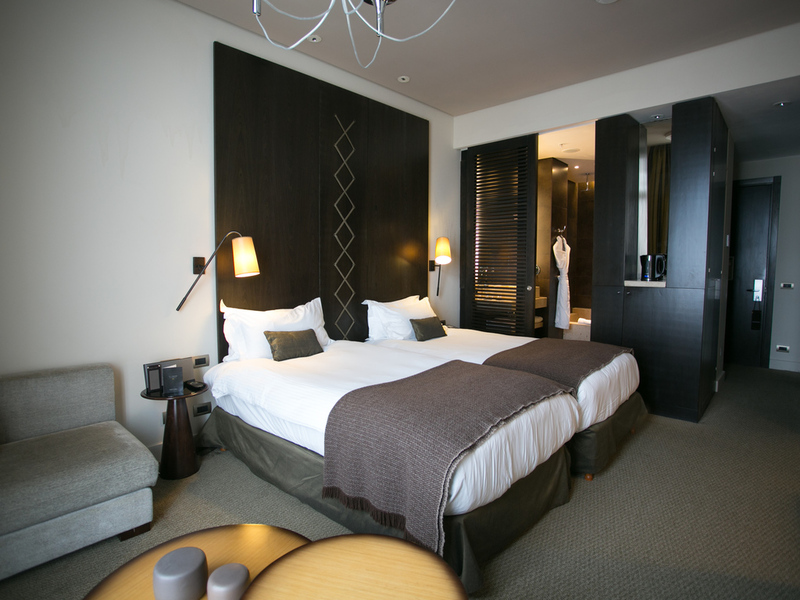 32" LCD TV, high-speed Internet and WIFI, telephone, bathtub and shower, Hermès products, minibar, safe, access to SoSPA/SoFit. Optional connection to 3 additional rooms. The opulence of the golds, patinas and vast array of colors emphasize the architectural and patrimonial value of this restaurant dating from 1921. Hard-wearing pure leather furniture is interwoven with striking metal that enhances the beauty of the walls. The hotel boasts a modern and comprehensive infrastructure with elegant and exclusive function rooms that are bound to amaze. Our Inspired Meetings team can be relied on to exceed your expectations; from weddings to meetings, the tiniest of details will be caressed with luxury and sophistication. At Sofitel, a true romantic experience is guaranteed. Discover a majestic setting for your honeymoon in Montevideo. Enjoy magical sunsets on the Río de la Plata surrounded by elegance and style, with a wide variety of gastronomical options available. We offer the most exclusive services to cater for your every need, with the best care and personalized service. Indoor swimming pool, spa, casino, fitness center and car park. Montevideo - especially the Carrasco district - is particularly appealing to guests who want to experience unforgettable moments. 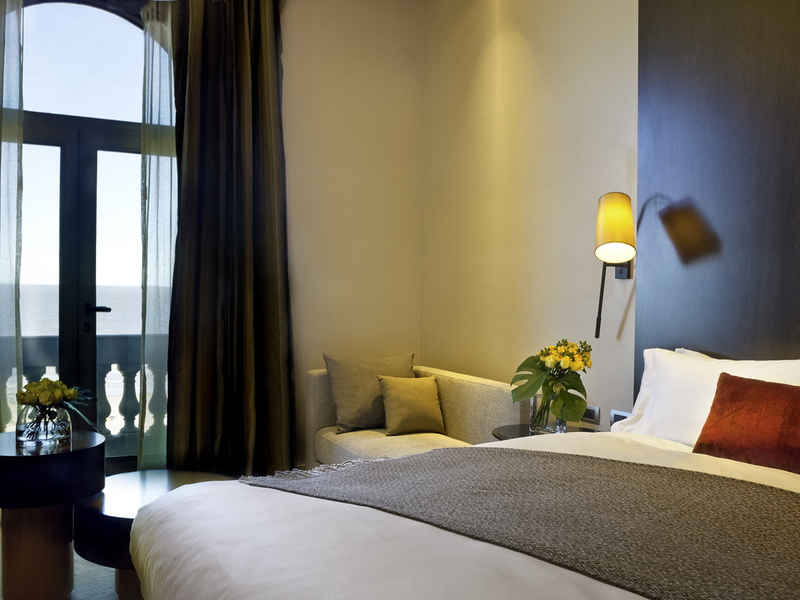 For tips on how to enjoy our city, please contact our Concierge Desk at Front.Montevideo@sofitel.com. The tempting in/out pool, lined in its entirety with a brown marble set with flecks of gray, reflecting the colors of the river that has seen the rise of the Hotel Casino Carrasco and its rebirth as the Sofitel Montevideo. Enjoy the facilities on offer in the fitness center, which has the latest equipment and an area for relaxation and well-being at a time that suits you.